What is required to participate in sports at Del Oro High School? 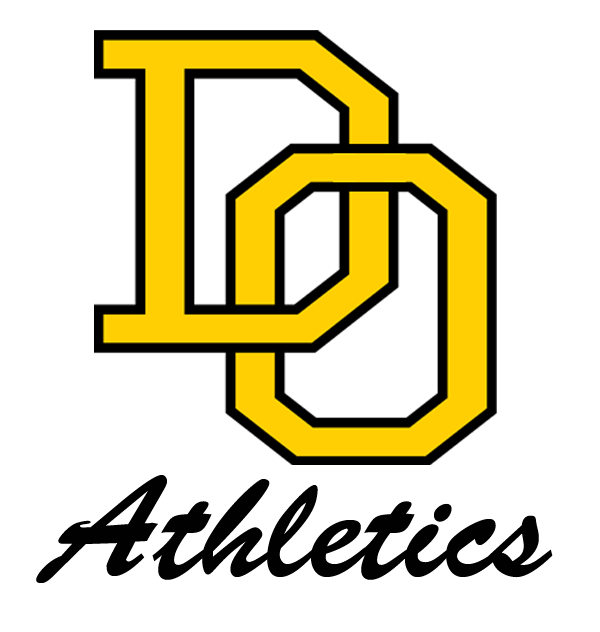 In order to compete in athletics at Del Oro High School, students must complete an Athletic Packet for the current season they will be participating in. The packets can be downloaded and printed out. They are no longer available in the office, but can be printed by students who need them in the library. UPCOMING SEASON TRYOUTS - Spring try-outs/practices begin on Monday, February 4th. All students must be cleared before they will be allowed to participate. Students turning in their clearance paperwork on the first day of tryouts will not be cleared until the following day(s). Please plan ahead. ELIGIBILITY INFO - Parents and students are reminded that there are academic requirements for athletic participation. Students must pass 20 units, with a minimum 2.0 GPA in all enrolled classes and may not receive two (2) F’s or more than two N’s (Needs Improvement) or lower in citizenship. Eligibility is determined using the grades at mid-term and final grades. PHYSICALS - In order to compete in athletics, the state requires a current physical to be on file at the school. The physical must take place after May 27th, 2018, and is good until the end of the current school year (2018-19). The following document needs to be printed by families and returned to Ms. York in the Athletics Office BEFORE you are cleared for participation.